JOIN FRIENDS OF SOUTH GEORGIA REGIONAL LIBRARIES, INC.
Visit the Friends of South Georgia Regional Libraries, Inc. website! HOW DO THE FRIENDS HELP? The Friends help by building community, fostering awareness of library services, and by offering support to SGRL. 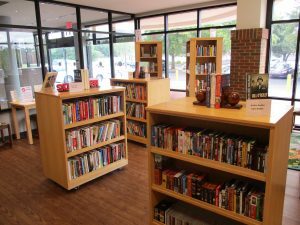 The Friends of the Library BookStore is located in the front of the Willis L. Miller Library, 2906 Julia Drive in Valdosta. All proceeds are used to support the library. SGRL Friends Book Sale Prices! The Friends BookStore also has a yearly YE Olde and Collectible Book Sales and other special sales. Check our FOL website, www.sgrlfriends.org for special sale information under the Sales/Events tab. The one-year FOL membership benefits include an invitation to our Annual Meeting, Friends-only events, and mailed copies of the newsletter, Word for Word. In addition, many interesting volunteer opportunities are available to members. 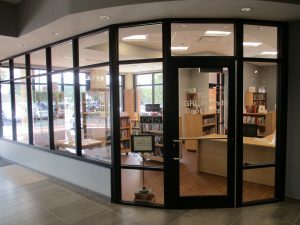 Friends of the South Georgia Regional Libraries, Inc.
(If you have trouble opening the PDF, you can download the latest version of Acrobat Reader for free). We are not able to accept memberships or money by Internet. Please call 229-333-0086 with any questions. Once payment has been received, your form will be processed and you will begin receiving your membership benefits immediately. 1. Attend a city or county commission meeting and take the opportunity to thank its members publicly for supporting the library. 2. Write a letter to a member of the city or county commission letting them know how much you value the library. 3. Speak up for libraries at community groups you belong to, such as the PTA, Chamber of Commerce, Rotary, Garden Club, etc. Invite your library director or branch manager to attend a meeting and talk about your library’s services and its needs. 4. Send a letter to the editor of the newspaper expressing how important the library is to you and your community. 5. Join the Friends of the Library. 6. Volunteer your time. The library can always use extra hands so ask your local branch manager how you can help! 7. Consider a tax-deductible gift to the library. The library offers memorial programs which allow you to give in honor of a loved one. 8. Include the library in your estate planning. 9. Develop a short “elevator speech” (just a sentence or two) that will help you quickly explain to others why libraries are more important than ever and use it when you have an opportunity to encourage others to get involved. 10. Take a friend or relative, or even a class to the library. Show them what you enjoy about the library and encourage them to get a library card of their own. Karl Osmus (President), Thomas Lovett (Vice President), Bonnie Rainey (Secretary), Tanya Lee (Treasurer), Mary Helen Watson, Janet Toffolo, Pepi Nelson, Dot Young, Sara Smart, Kelsey Howell, Kelly Conley, Carolyn Coleman, Emily Roger.